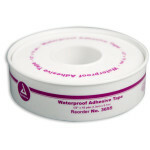 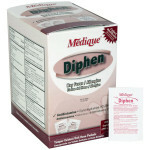 Medi-Lyte Electrolyte Replenisher 500 tablets per box. 250 packets of 2 tabs. 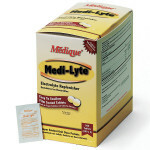 Medique's convenient alternative to the usual drink mixes is a tablet that replenishes electrolytes when taken with water. Adults and children: (12 years and older) Take 2 tablets as needed with a full glass of water to help with hydration. 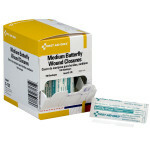 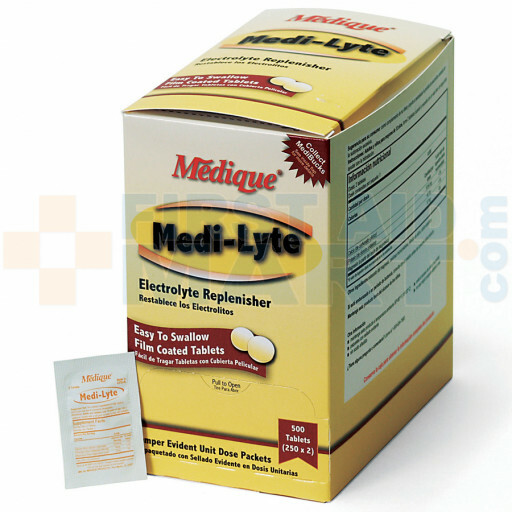 Medi-Lyte Electrolyte Replenisher, 500/box, 03013.